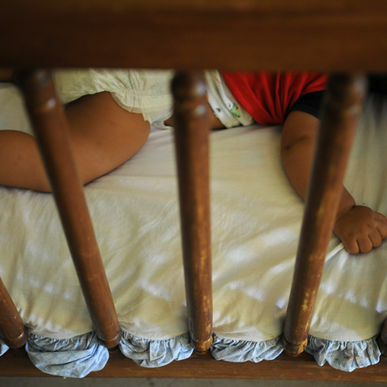 COSTA RICA NEWS — Child Welfare office (PANI) chief Ana Teresa Leon publicly admitted that the agency committed errors in the case of death Wednesday of a baby from apparent parental abuse. In an interview with the news radio station ADN 90.7 FM, she said that perhaps the death could have been prevented taking into account the father’s past. The father was under investigation by prosecutors for the 2011 death of another of his children. (See Father of Abused Baby Arrested) She said that she could have acted if she had been aware of the father’s record of aggression and abuse against children. Leon said that a criminal complaint had been filed previous to the latest child abuse for aggression of the father against the two older sisters of the deceased baby. “It was not explained to us that this person was free after the previous assault,” she said. In the case of the two older sisters, Leon said they were now with their biological father (not the violent aggressor) since both the aggressor and the mother are in jail. PANI is supervising the home situation of the girls with frequent visits of social workers. Commentary: This reporter, a former social worker, is hardly alone in being critical of this situation. The child welfare agency, as in most countries, is underfunded and overworked. But this situation shows a breakdown of communications between the courts and PANI. It is time to draft a law that PANI must be contacted every time prosecutors investigate a case of child abuse, no matter who filed the complaint. Since the previous child’s death was in 2011, it also is an indictment of the slowness of the courts.